City Council, meeting for the last time in this Term of Council, today highlighted the contributions of the outgoing Councillors. 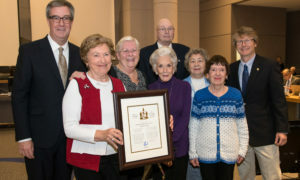 Mayor Jim Watson presented departing Councillors with commemorative photographs as a token of appreciation for their dedication and service to the City and its residents. 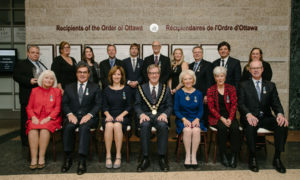 Councillors Bob Monette, Jody Mitic, Marianne Wilkinson, Shad Qadri, Mark Taylor, David Chernushenko and Michael Qaqish each received a framed photograph of a scene of significance in their wards.